Congratulations to our Client May Designs for their feature on Fox 4 News Kansas City! 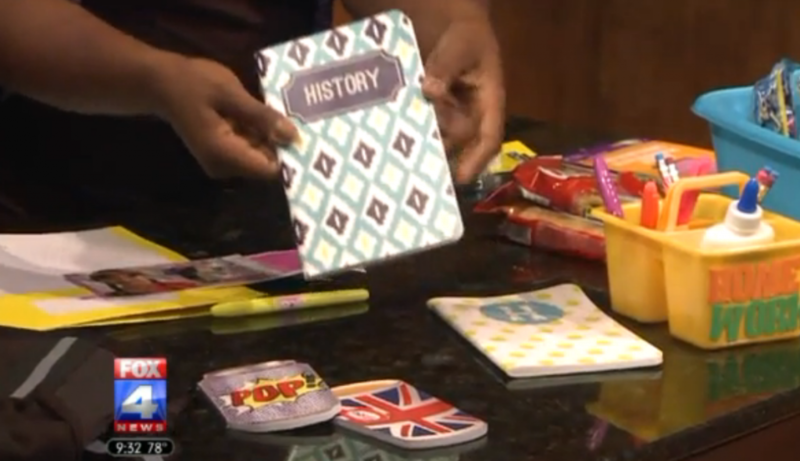 Itâ€™s back-to-school time, which means it is time to get organized.Â May Designs has beautiful and funÂ notebooks and planners to keep kids and adults organized all year long. Their notebooks are perfect for studying or for making To-Do lists, and the best part is you can customize the book to fit any style. Every aspect of May Designs is customizable including a fun array of elegant monograms and novelty cover patterns. Each May Designs notebook offers a choice of useful inside pages ranging from agendas and journals to grocery lists and meal planners all neatly clad in soft canvas covers. Plus, May Designs takes care to individually stitch down the spine of each book for not only an eco-friendly binding solution, but a more durable water-resistant cover that can easily withstand being dropped or squished.